The botched sacking by the BBC of its chief technology officer John Linwood last week raises very serious questions about the integrity of the Corporation and its decision-making processes. News-watch has repeatedly highlighted problems with the BBC’s editorial integrity and how biased its coverage is in certain crucial respects. The removal of Linwood raises major questions about the whole management ethos. The full, sorry saga, is here. It could become a textbook on how not to manage. 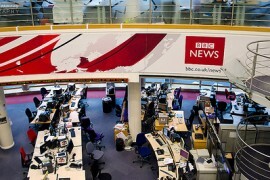 An employment tribunal in this unpleasant episode ruled that Linwood – who was in charge of the BBC’s failed £125m Digital Media Initiative (DMI) – was subjected to a campaign of vilification, given only days to prepare his case, and treated with ‘cavalier disregard” by the senior management who fired him. There isn’t the space here to detail in full the bad practice involved; suffice it to say that there is absolutely no doubt from the 66-page ruling that the BBC acted disgracefully. Reports can be found here, here and here. Let’s not mince words – this was a kangaroo court. Once it was decided in May 2013 that he was to blame for the DMI fiasco, Linwood, paid £280,000 a year, was bad-mouthed from the rooftops by his former colleagues, cut loose and hung out to dry. And let’s also be clear. This was not a hole-in-the-corner exercise. Linwood’s execution was carried out in the full light of day by the Corporation’s most senior management body, the BBC executive board, responsible to the Trustees for every aspect of BBC operations. It’s also the case that the man who directed proceedings that day – unlike his hapless predecessor, George Entwhistle, who ignominiously resigned over the handling of the Jimmy Savile affair – hasn’t left the corporation, isn’t in disgrace and is still in full charge. It’s the current director general, Tony Hall, Lord Hall of Birkenhead. And with him at the board meeting when he made the decisions were a raft of his most senior BBC staff who are still there: Danny Cohen the director television, Helen Boaden, director radio, Fran Unsworth, deputy director of news (on the day, she was acting head because Helen Boaden had been removed from the post) , and Tony Purnell, the former Labour minister drafted in by Lord Hall to be his director of strategy. It seems likely, too, that the board was acting with the full blessing of the BBC Trustees and maybe at their behest, because by this stage the DMI was an increasingly high-profile embarrassment that was haemorrhaging cash. DMI had been conceived in 2008-9 to create a ‘seamless’ BBC archive operation, but quickly ran into problems. In 2011, the National Audit Office was hired by the Trustees to investigate. 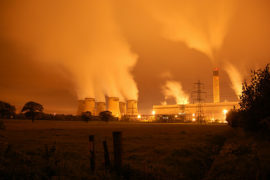 Their report sounded serious warning bells about how the project was being managed, and also pointed out that a scheme that was designed to save the corporation money was already costing millions. Lord Hall took over as director general in the spring of 2013 and the DMI bombshell well and truly exploded in his face – during Margaret Thatcher’s funeral coverage, it emerged that DMI was actually, in effect blocking access to existing archives so that thousands were being spent on ferrying tapes around London . It also emerged that all in, DMI was likely to cost the Corporation £125m. Linwood was the man chosen to carry the can and that was why he was immediately hung out to dry. At the same meeting, the whole project was cancelled and Hall and his board admitted that it would cost the licence-fee payers almost £100m. This was mismanagement on a colossal scale, as subsequent inquiries by the Commons public accounts committee found. They branded the whole scheme a ‘complete failure’, and they pointed out this was not the fault of one man, but a collective responsibility. So what does this whole sorry saga reveal about the BBC as it enters the negotiations for the renewal of the licence fee? This was reckless disregard for due process, and as the Employment Tribunal makes clear, glaring incompetence – despite all the millions of our money the BBC spends on management ‘know how’, training and salaries. In a statement, the BBC said the failure of the project had been “a very difficult set of circumstances” and expressed disappointment over the tribunal’s decision. “We had a major failure of a significant project, and we had lost confidence – as the tribunal acknowledges – in John Linwood. “At the time we believed we acted appropriately,” the corporation continued. “The tribunal has taken a different view. 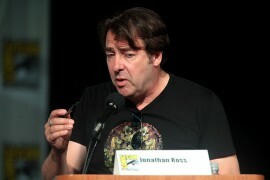 BBC Jonathan Ross Return: Why?